There are a lot of great bolt carrier group options out there. So many, in fact, that sometimes the good ones don’t immediately stand out. I’m of the mind, though, that if anything truly deserves praise it will rise to the top. 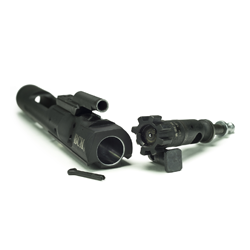 And that’s really the essence of this guide – identifying the best bolt carrier group. To help you wade through the choices and find the perfect bolt carrier group for your application, I’ve put together a comprehensive buying guide that discusses key factors like profiles, alloys, finishes, and more. I also include in depth reviews on my top five choices. The information I cover here is extensive, but don’t be intimidated. Really, there are only a few things to keep in mind. 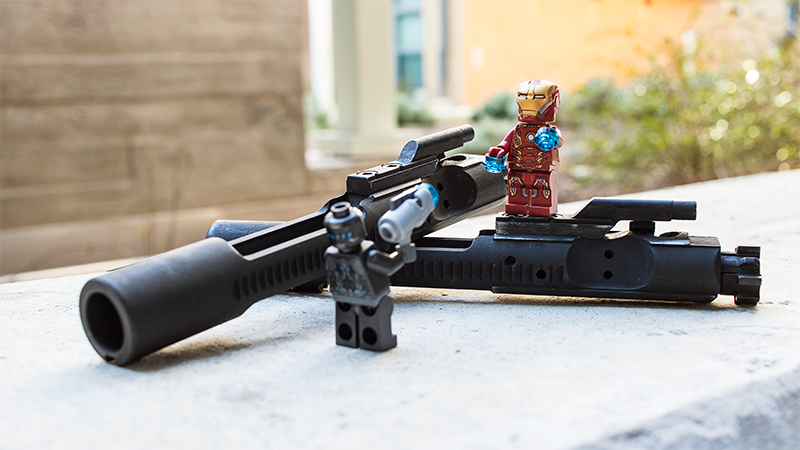 If you find a bolt carrier group that’s made from top-shelf materials, has a solid finish, and is properly inspected and tested – then you’re all set. Understand, however, that choosing the “best” bolt carrier group is a little subjective. Since there are so many great options, it’s impossible for me to say that one is better than another. What I’ve done in this guide is rate bolt carrier groups by evaluating quality and durability based on objective facts and personal observation or observations of close friends and acquaintances. It’s certainly not scientific, keep that in mind. 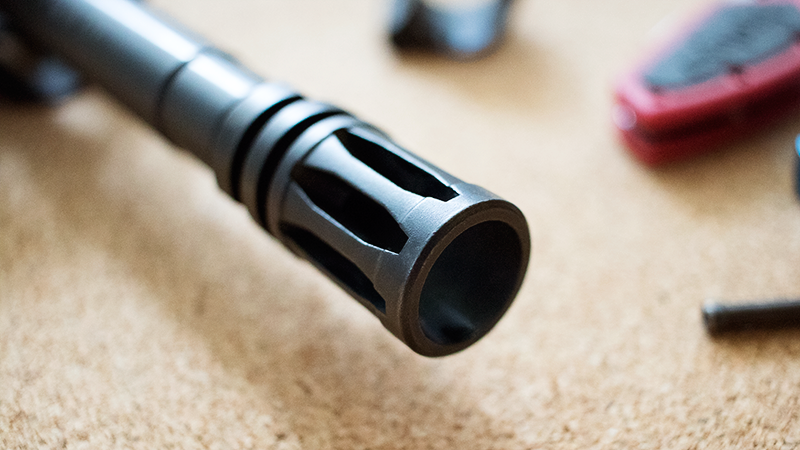 So, if you’ve been struggling to find a bolt carrier group worthy of your build, or if you’re a complete newbie, there is something here for you in this guide. Let’s start with the major considerations. 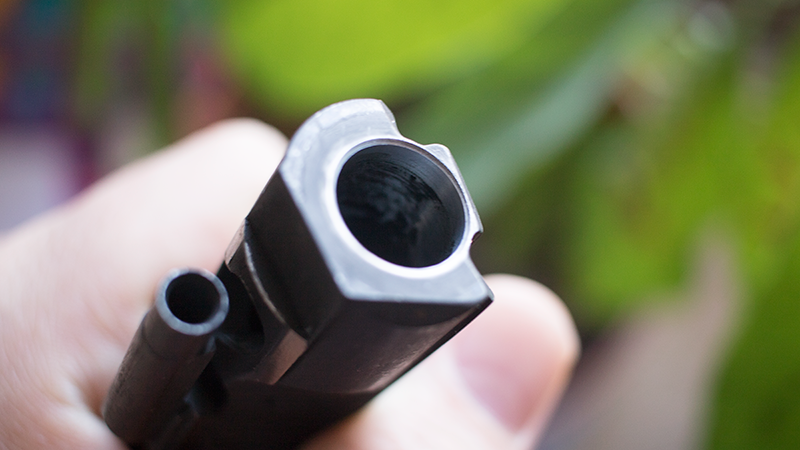 Selecting the right bolt carrier group can seem daunting. Truth be told, though, there aren’t that many things to consider. Really it comes down to understanding which profiles, materials, and finishes are best and ensuring everything is properly tested and inspected. To keep things simple, I have structured this guide into easily digestible sections. In which, I’ll elaborate on each major consideration I just outlined. Doing it this way will, hopefully, keep things straight in your mind and be easily referenced later on. The first thing we’ll take a look at are bolt carrier profiles. Whether it’s a semi-auto or full-auto profile, I’ll discuss the situation where one may be preferable over another. Next, we’ll move on to materials. The bolt carrier group is subjected to a lot of heat and stress. As such, the materials you choose will have a significant impact on reliability and longevity. The next things to consider are finishes and linings. 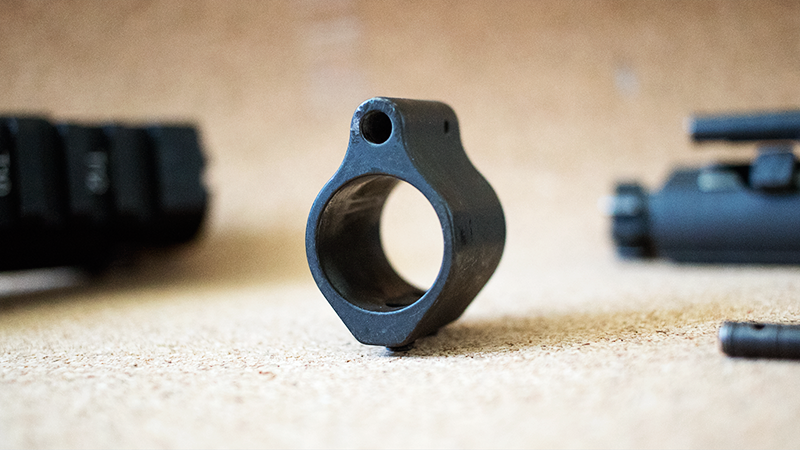 These protect your bolt carrier group from abrasions and corrosion. They also make your sliding parts slicker, which improves reliability, reduces the need for lubrication, and aids cleanup. Finally, we’ll talk about high-pressure testing and magnetic particle inspecting. These are two methods manufacturers use to ensure materials are within specifications. To me, that’s critical and I wouldn’t buy a bolt carrier group if these test haven’t been done. There are two common bolt carrier group profiles – semi-auto and full-auto. This simply refers to the intended use of the bolt carrier group. Semi-auto bolt carrier groups are made specifically for semiautomatic weapons that are not capable of fully automatic fire. Full-auto bolt carrier groups, on the other hand, are made for full-auto capable weapons. 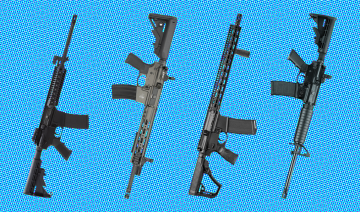 Full-auto bolt carrier groups do work in semiautomatic AR-15s, however. In fact they are sometimes preferred because they weigh a bit more. Increased reciprocating mass will slow things down slightly resulting in smoother action and less felt recoil. A full-auto bolt carrier group is a great option for carbine and pistol length gas systems where gas pressure is high. In any case, changing the weight of your bolt carrier group is an excellent method for fine tuning the action and feel of your weapon. The only difference between the two profiles is the shroud. 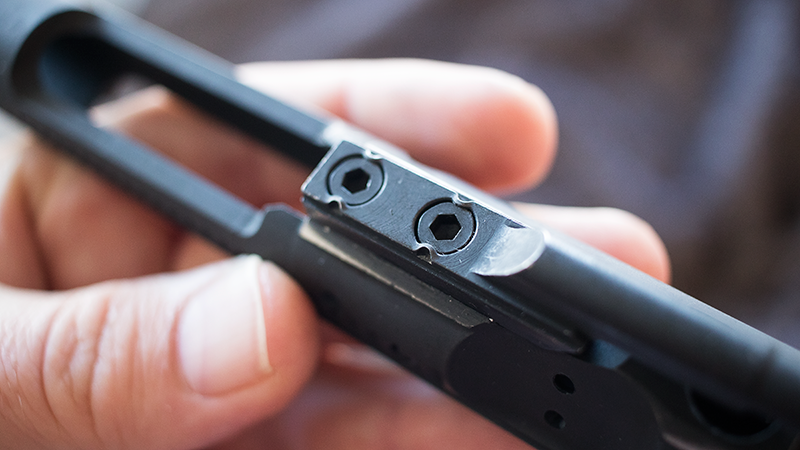 In the case of full-auto bolt carrier groups, the firing pin tunnel is fully shrouded. The shroud itself actuates the sear in fully automatic weapons. Since this sear is excluded in semiautomatic weapons, a fully shrouded firing pin tunnel is not necessary. Recommendation: For most people, the bolt carrier group profile will not matter. It’s really hard to tell the difference in most cases. However, I do recommend a full-auto profile, in general, for the reasons I listed above. This is actually the most common profile and prices are generally the same regardless of the one you choose. There are quite a few bolt carrier group materials, but the most popular are 9310, 8620, and Carpenter 158 steel. Other materials include aluminum and titanium, though they are less common. To keep things simple, I’ll stick to the more common ones in this guide. 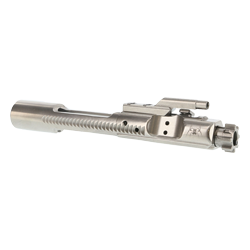 Since the bolt carrier group is exposed to a tremendous amount of stress and heat, exceptionally durable materials are required. 9310, 8620, and Carpenter 158 steel are just that and suit this application well. This is an excellent steel alloy with high core hardness and fatigue strength. It’s also replacing traditional 8620 and Carpenter 158 steel in many cases. 9310 steel has higher tensile and yield strength than 8620 steel, making it an excellent choice for bolt carrier construction. In addition, its superior hardenability characteristics make it comparable to Carpenter 158 steel, so it’s an equally good choice for bolt construction. 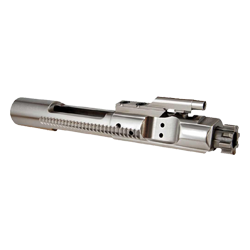 A lot of manufacturers offer a completely 9310 steel bolt carrier group. Though, this is a relatively new phenomenon and some people prefer the tried-and-true 8620 and Carpenter 158 combination. From my perspective, however, 9310 is an excellent option and is objectively stronger than 8620 and Carpenter 158 steel. 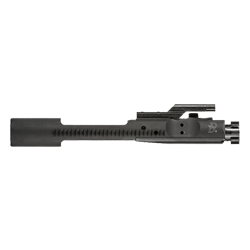 8620 steel is the standard for bolt carrier construction, and it suits this application well. So well, in fact, it is specified by the US military for their weapons. It is a bit softer and has less tensile and yield strength than 9310 steel, but it is more than capable of standing up to the rigors of daily use and abuse. A high-quality carrier made from 8620 steel will last a lifetime. 8620 steel is widely used in other industries as well, so availability and supply are steady. This translates into lower prices for you the consumer. The great value and durability this material offers makes it a great option. This is the most common material for us in bolt construction, and, like 8620 steel, is specified by the US military for use in their weapons. Carpenter 158 steel is a proprietary alloy made by a company named Carpenter Technology Corporation, and is renown for having a very high core strength and hardness. It also has excellent wear resistance traits that allow it to withstand severe abrasion. Because of these characteristics, Carpenter 158 is the standard that other bolt materials are measured by. A precisely machined and tested part is exceedingly tough and reliable. Recommendation: When it comes to bolt carrier group materials, 9310, 8620, and Carpenter 158 steel work well. Really none is preferable over another, so as long as it hits all the criteria mentioned in this guide, you’re golden. Also consider who is making the bolt carrier group. An established manufacturer has access to the best materials, equipment, and talent. This is one area that continues to evolve. Now there are many great options available and phosphate is no longer your only choice. Other finishes like nitride, nickel boron, and chrome offer superior performance and should definitely be considered. When it comes to choosing a finish or lining, durability is your watch word. Finishes and linings protect against corrosion and abrasion. They also decrease friction between sliding parts, which, in turn, minimizes the need for additional lubrication and lengthens cleaning intervals. Good finishes and linings provide a lot of benefits and they are vitally important. I’ve listed a few of the most popular options below to give you insight into what they’re all about. Chrome is exceptionally hard and slick. It’s commonly used as a lining for bolt carriers and gas keys, but is becoming popular as a finish as well. Another key feature of chrome is its ability to withstand repeated heat cycling. This is important since hot gas, siphoned through the gas system, is vented directly into the bolt carrier group. Without proper treatment the metal can erode reducing the parts lifespan. Chrome’s relatively non-porous surface greatly reduces the amount of lubrication needed and makes cleanup simple. It’s a great option when available. Phosphate is the standard bolt carrier group finish. It’s cheap and simple to apply, yet provides good corrosion and abrasion protection. It also reduces friction between sliding components and absorbs lubricants, further enhancing this property. 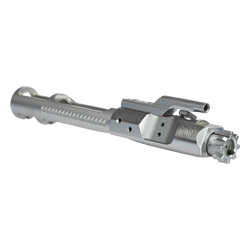 To apply a phosphate finish, the bolt and bolt carrier are submerged in a heated phosphoric acid solution that contains dissolved zinc or manganese phosphate salts. When the steel is placed in the solution, a simple reaction takes place, and the dissolved salt falls out of suspension and precipitates on the surface. Once this process is complete, your part is then rinsed and dried. What you’re left with is a thin, even coating that’s ready for action. This is a popular treatment that is used as both a finish and lining. Like chrome, a nitride lining protects against corrosion, heat, and offers longer service life. However, the process provides a more uniform application and mitigates the potential for chipping and marring that chrome is prone to. From my experience this is an excellent finish and a good alternative to chrome. Nitride actually changes the molecular structure of the steel and case hardens it. Like phosphate, it is relatively cheap and easy to apply but offers a significantly higher level of protection. It is also very slick, so you wont need as much lubrication and it’s very easy to clean. The is another very popular finish and lining. Like nitride, it offers improved protection when compared to phosphate. It’s also very slick, reducing the need for additional lubrication and cleaning. The nodular structure also dissipates heat at greater efficiency due to greater surface area, making this an excellent choice for firearms applications. Like I hinted at earlier, there are a lot of finish options and more seem to hit the market on a daily basis. Some of the more popular alternatives include nickel Teflon and titanium nitride. These finishes offer purported benefits like superior lubricity and increased corrosion and abrasion resistance. Though, how much better is subject to debate. 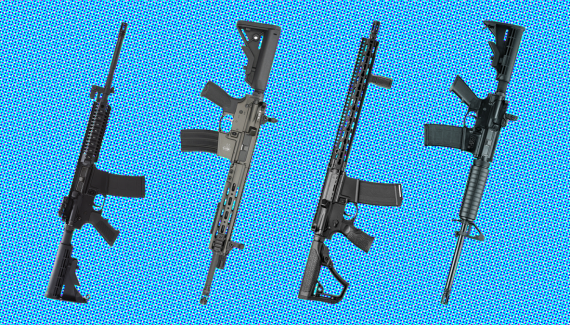 From my perspective, the benefits are real, but exotic finishes may not be necessary if you’re AR-15 is just a range toy or home defense weapon. As such, it’s important to keep in mind the intended application. Recommendation: There are a lot of finish and lining options and there seem to be more and more every day. From my perspective, phosphate and chrome are excellent for your everyday AR-15. It’s a tried and true combination and certainly provides an acceptable level of protection. The other, more exotic finishes are great, too. They offer a bit more protection, are more lubricious, and are easier to clean. 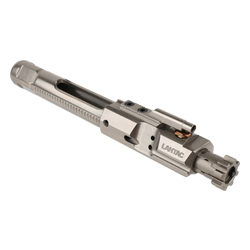 You will have to reconcile your requirements and budget to choose the best bolt carrier group finish for you. This is an area of consideration that you should not sleep on. While it is no guarantee, proper testing and inspection methods help ensure you get a high quality product that is free from defect. It also tells me a company actually cares about its product. 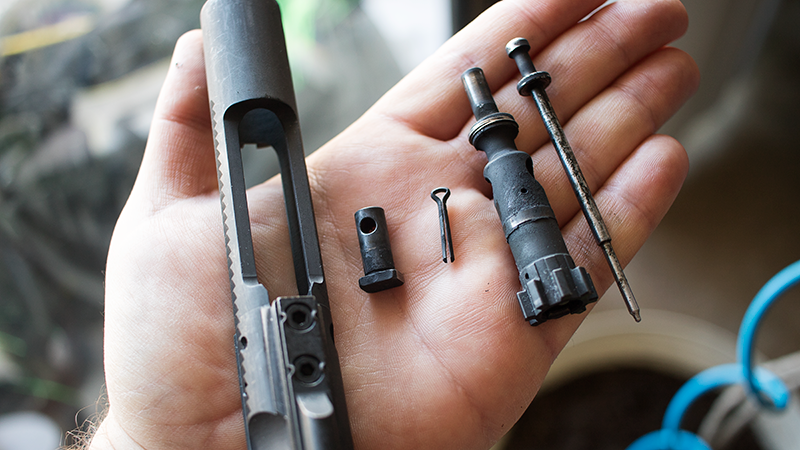 There are two common testing and inspection processes that manufacturers use to test their bolt carrier groups. The first is called high pressure testing (HPT), the other is called magnetic particle inspection (MPI.) To expand on theses methods, I’ve broken them down below. The high pressure testing process involves firing a single high pressure test cartridge from the weapon as a means of stressing the barrel and bolt. These rounds develop pressures substantially exceeding those developed by normal service loads. Once the round is fired, the bolt and casing are inspected for any wear or damage that would indicate a defective or dangerous part. If it does not meet the standard, the bolt will be discarded. Bolts are either individually tested or tested in batches. With batch testing, one, or a few, bolts are selected from a production run and tested. If those bolts pass then the entire batch is green lighted. While individual testing is preferred, this method is better than nothing. For more information about high pressure testing, please reference SAAMI Z299.4:1992 and TM 43-0001027. Magnetic particle inspection is a method for finding near surface defects in the bolt and bolt carrier that may lead to premature failure. The process involves inserting the part between two poles of an electromagnet and saturating it with a suspension of magnetic particles. With the help of an ultraviolet light, the surface is inspected for cracks, seams, and other injurious defects where the magnetic particles have collected. Like high-pressure testing, magnetic particle inspection can be done individually or in batches. Again, if the part is found to have significant defects it will be discarded. For more information about magnetic particle inspection, please reference MIL-STD-1949 and MIL-C-70599A. Recommendation: The testing and inspection process does not guarantee your part will last, but it does provide extra assurance – I’ll take that every time. I recommend only choosing a bolt carrier group that has undergone proper stress testing and is fully inspected. Some manufacturers will forego these measures to save cost. However, since this is such an important component I don’t recommend skimping if at all possible. In addition to the major consideration above, there are a few other small-but-important factors to be aware of. To keep things simple, I’ll outline them here. While these are secondary considerations, they will go along way towards aiding performance and longevity of the bolt carrier group. As such, it’s important to look for any mention of these things before making a purchase. This process is used to improve the fatigue performance of the bolt and bolt carrier by bombarding the surface with small, spherical media called shot. Each piece of shot that strikes the material acts as a tiny ball-peen hammer and imparts a small indentation or dimple to the surface. To create the dimple, the surface of the material must yield in tension. Below the surface, the material tries to restore its original shape, thereby producing a hemisphere of cold-worked material highly stressed in compression below the dimple. Nearly all fatigue and stress corrosion failures originate at the surface of a part, but cracks will not initiate or propagate in a compressively stressed zone. Because the overlapping dimples from shot peening create a uniform layer of compressive stress at metal surfaces, shot peening provides considerable increases in part life. Check out this LINK for more information about the shot peening process. When securing the gas key to the bolt carrier, it’s important to consider shear and tensile strength of the fasteners. In this case, the fasteners need to be sufficiently durable to withstand repeated stress. 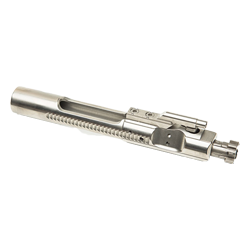 Grade 8 fasteners are the standard for bolt carrier groups and have an approximate tensile strength 150,000 lbs per square inch. For comparison, grade 5 fasteners have a tensile strength of 120,000 lbs per square inch. As such, I would not purchase a bolt carrier group without grade 8 or better fasteners. Once the gas key is secured, the the fasteners should be properly staked to prevent them from backing out. A properly staked key will have small dimples on either side of the fastener that touche the bolt itself. The tension between the two surfaces will prevent the fastener from moving. 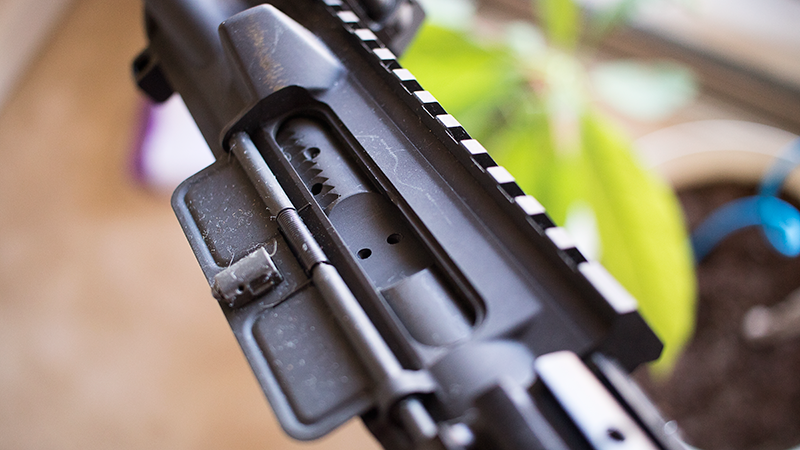 To help wade through the choices and find the perfect bolt carrier group for your application, I put together a comprehensive buying guide that covers important factors like materials, finishes, profiles, and more. Here, I want to provide a little taste of the competition. This is only a small subset of available bolt carrier groups. There are so many on the market (some good, some bad) that it would be impossible to list them all. Understand, too, that choosing the “best” bolt carrier group is a little subjective. Since there are so many great options, it’s also impossible for me to say that one is better than another, within reason. What I did in this guide is rate bolt carrier groups by evaluating quality and durability based on objective facts and personal observation or observations of close friends and acquaintances. It’s certainly not scientific, so keep that in mind. I also provide an in depth review of all my top picks. That way you have a clear idea of what sets them apart from the competition and exactly why I picked them. The Bravo Company Bolt Carrier Group has an exceptional reputation. It’s simple, steadfast, reliable, and competitively priced. In terms of quality, it stands out as one of the best in its price range. This is our favorite bolt carrier group. The Bravo Company bolt carrier group is crammed with premium features that will surely add sophistication to any AR-15. The Carpenter 158 steel bolt is fully high-pressure tested (HPT), magnetic particle inspected (MPI), and shot-peened for superior strength. The high-quality 8620 steel carrier is chrome-lined and phosphate finished. The gas key is also chrome-lined and everything is buttoned up with grade 8 hardened fasteners. It’s really a lot of bolt carrier group for not a lot of money, and has all the key things you want from a high-quality part. I have run this exact bolt carrier group in a number of builds over the years and it has been dead reliable for me. The only real criticism, if you can call it that, is that it is plain Jane. 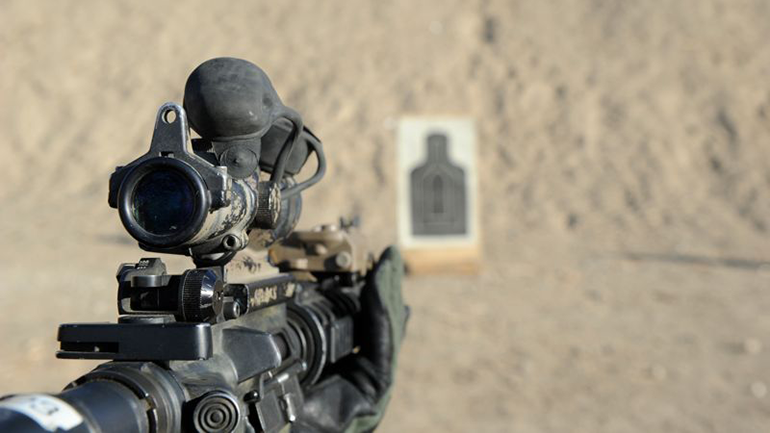 It’s a standard mil-spec piece – nothing more, nothing less. But man does it hold up well to abuse. If you’re looking for a straightforward, reliable bolt carrier group, this is an excellent choice. What can be said about the Colt Bolt Carrier Group that hasn’t been said already? It’s expertly machined from top notch materials – it’s the original. The only downside is price and availability. Get one if you can actually find it and have the extra cash on hand. Colt sets the bar high when it comes to quality and reliability. When you manufacture millions of weapons for the US military, I guess it comes with the territory. Needless to say, Colt’s bolt carrier group is the standard by which others are measured. Of course it’s a great bolt carrier group, but there are a few downsides. First, the Colt brand name commands a premium and this part is pricey at around $229. Second, availability is rather limited. If a retailer has them in stock they’re bound to sell out quick. Nonetheless, it’s a premium piece made from high-quality materials from a trusted brand. If that’s appealing to you, then you can’t go wrong with a bolt carrier group from Colt. Daniel Defense makes choice parts and their bolt carrier group is more of the same. It’s made with great ingredients and it’s built to last. 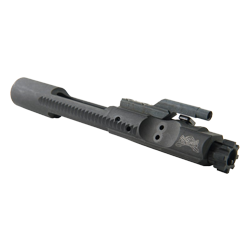 Combining great quality at a great price, this is one of the highest value bolt carrier groups out there. Daniel Defense is another company known for their top-shelf products, and their bolt carrier group certainly lives up to the name. Much like the other bolt carrier groups featured here, it has a shot-peened, magnetic particle inspected (MPI), and high-pressure tested (HPT) Carpenter 158® steel bolt. The carrier and gas key are chrome lined, properly staked, and held together with grade 8 hardened fasteners. There are two available finishes: phosphate and chrome. And, all Daniel Defense products carry a 100% satisfaction guarantee against defects or workmanship. From my experience, this bolt carrier group is awesome, and my chrome finished piece has performed flawlessly. Spike’s Tactical has a strong reputation for making high-end AR-15 parts and accessories. Of course their bolt carrier group delivers and their nickel boron piece is especially great. Spike’s has exceptional quality control and the price point makes this a very compelling option. The cost-to-performance ratio that Spike’s Tactical offers with their bolt carrier group is hard to beat. If you want something that won’t break the bank, yet has all the necessary features you’re looking for, this is a great option. So, what does it bring to the table? Well, a lot! The Carpenter 158® steel bolt is shot-peened, magnetic particle inspected (MPI), and high-pressure tested (HPT.) The 8620 steel carrier is chrome lined and machined to military specifications. The gas key is chrome lined, properly staked, and held together with grade 8 hardened fasteners. Fit and finish are top-notch and there are two available coatings: phosphate and nickel boron. Reviews are excellent for this piece, but that’s a given with Spike’s Tactical. The National Match Light Bolt Carrier from Young Manufacturing is an exceptionally well crafted piece. Though it’s billed as a light-weight bolt carrier group, it only weighs about 1 ounce less than a standard full auto part. Still, it’s coveted by many competition shooters and I can certainly vouch for its performance. Young is another high-end manufacturer of AR-15 parts and their bolt carrier groups are especially coveted. The National Match carrier pictured above, for example, is used by a ton of competition shooters and custom builders. The bolt carrier weighs 10.5 ounces, almost a full ounce less than their standard carrier. The lighter weight means less reciprocating mass and lower felt recoil. It also has added surface area in front of the carrier that gives a tighter fit when the bolt is in battery, resulting in better and more consistent lock up overall. Material wise, everything is top notch. The carrier is made from 8620 steel and the bolt is made from Carpenter 158 steel. Everything is shot-peened, high-pressure tested, and magnetic particle inspected to guarantee quality. Like some of the other high-end parts here, Young Manufacturing’s bolt carrier groups are a little on the expensive side. Though, paying more for the absolute best is worth the peace of mind sometimes. At this point you should have the knowledge you need to make an informed purchase. The next step is deciding where you will buy your bolt carrier group from. This section should give a few ideas. Be sure to check your local and state laws before buying anything. Some rules and regulations pertaining to firearms and firearms parts may differ depending on your jurisdiction. 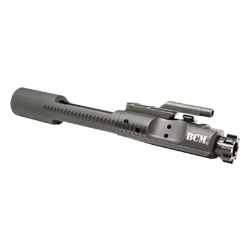 You can buy a bolt carrier group online, and there are a ton of websites to choose from. 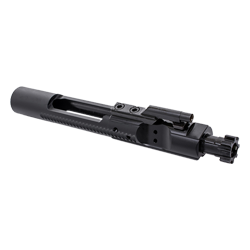 Pros – You get to shop for a bolt carrier group without leaving your house, you can choose from dozens of sellers, and do research in real time. Since competition is strong and overhead is pretty low for online only retailers, you can usually find the lowest price available. Cons – You can’t see and feel your part before buying. This is a big deal for someone that likes to have something in hand before dropping the cash. However, many reputable retailers understand this and offer money back guarantees and very lenient return policies. You will have to pay shipping in some instances, as well. Pros – You support local business and often get superb customer service. You also get to touch, feel, and experience your bolt carrier group before making a purchase. Select a profile you feel most comfortable with. Whether is semi-auto or full-auto, there isn’t much difference in performance between the two in most cases. If your are trying to fine tune the action of your weapon choose a heavier or lighter bolt carrier group based on your needs. When it comes to bolt carrier group materials, 9310, 8620, and Carpenter 158 steel are all good. High quality, precise machining is the more important factor. So choose any of the tried-and-true materials that suits you. Finishes and linings are another area that’s pretty subjective. Phosphate and chrome are good, but other finishes like nickel boron are better. It’s your decision whether those benefits are worth the extra cost. Proper stress testing and inspection is very important. These processes offer a certain level of assurance you won’t get with bolt carrier groups that aren’t high pressure tested and magnetic particle inspected. Look for a bolt carrier group that is shot peened, held together with grade 8 or better fasteners, and is properly staked. This guide is packed with information and it is my sincerest hope that you got everything you need. As always, I’m available to answer any questions you may have. Drop me a line via the contact page!